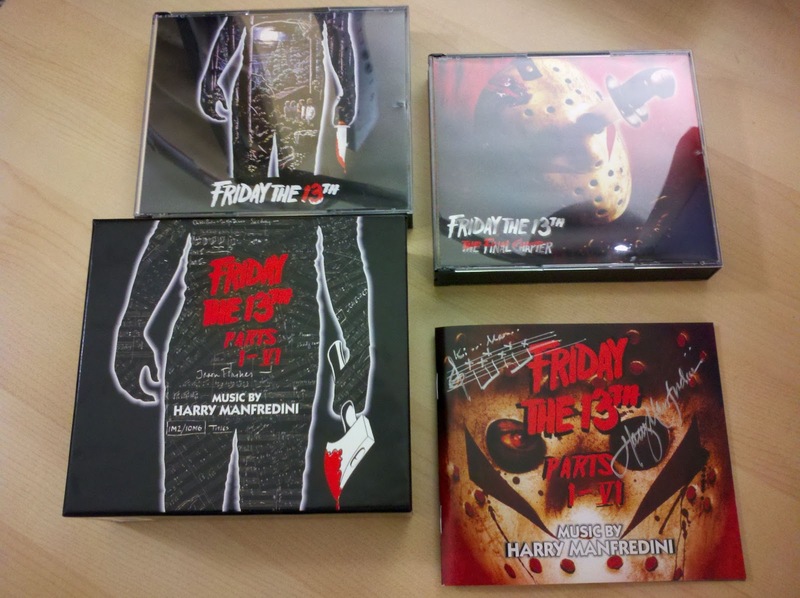 I'm delighted to finally own Harry Manfredini's legendary music for Friday the 13th -- the score to not only the original film, but the first five sequels, too, all of it on six glorious CDs. The music, long thought lost, has just been released in this wonderful boxset (appropriately enough) on Friday 1/13/12, by Lalaland records. As usual, they've done an excellent job both with the presentation and content. And as a bonus, I was lucky enough to place my order quickly and get a signed copy. I love Mafredini's inscription on the upper left hand corner of the booklet with the infamous "Ki-ki-ki, ma-ma-ma" in actual score notation... Very classy.